Focusing on developments of the past half century, this volume rediscovers the Americas as contested continents. 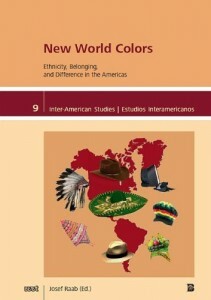 Its twenty essays explore ethnicity, belonging, and difference in sites and contexts located throughout the Western Hemisphere—from Canada and the United States to Bolivia and Chile. They examine methods and motives for constructing identities and declaring affiliations in literature and other media, in communities and social movements, in national and transnational scenarios.